Where accomplished innovators and leaders in high tech manufacturing meet to enhance their systems savvy. Technologists and leaders of innovation often don’t get the chance to raise their heads above the silos in which they operate. This event is designed to raise one’s sights to a broader strategic landscape, to stimulate and inspire, and to enable effortless connections with accomplished peers. 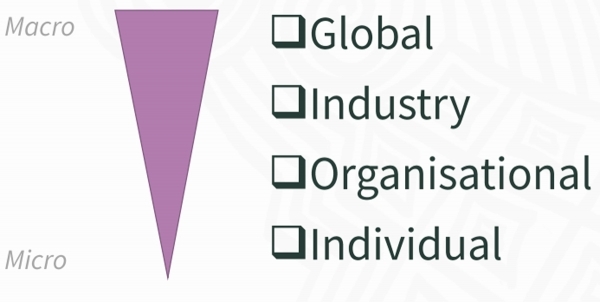 Leaders operate within a web of “systems within systems” – the micro system of their internal models, their team, the organisation, their technology “tribe”, their industry sector (including customers and supply chain), and the macro system of the broader economy. Siobhan Soraghan BSc MBA, Founder, Active Insight, and facilitator of the Innovation Network. Take this unusual opportunity to step back from your day-to-day operations to gain valuable insights that will accelerate your systems intelligence. Learn about the paradigm shift of the circular economy and candid stories about leaders’ experiences of bringing technological developments to commercial fruition. Engage in gently facilitated dialogue with esteemed peers. Bring back priceless wisdom to your organisation and the innovators you lead. Ken Webster, Past Chief Innovation Officer, the Ellen MacArthur Foundation, now Senior Lecturer at the Centre for Circular Economy, University of Exeter. Ken spoke at our event last April 2018, and made a big impression with his paradigm shifting messages around the concepts of the Circular Economy, specifically in relation to product innovation and manufacturing. We are delighted to invite him back. Being both an economist and sociologist, Ken’s perspective is unusually both broad and deep, and the chance to have him stretch your brain is not to be missed. Stafford Lloyd, Innovate UK and the Horizon 2020 Project National contact point re ICT and Future & Emergent Technologies. Paul has worked in industry for many years, including as Cyber Resilience expert for Thales Security SA. He will address the growing complexity of digital systems within systems and the risks that all must be alert to, particularly in manufacturing. Adel will address the important issue of organisational readiness for milking one of the potential benefits of digitisation – the IoT. As a member of the international consortium tasked with constructing global standards for innovation, Ben is delighted to be unveiling the new standards at the event. SEE MORE AND BOOK YOUR PLACE HERE. Meet and interact in real time with acknowledged experts and respected peers. Where you can explore together the possible implications of disruptive technological developments. Where valuable CPD will be a natural outcome. And without even trying, you’ll enrich your personal network and perhaps even find potential collaborators. Agile – does it serve manufacturing? To see the draft event outline click here. Nothing beats meeting peers face-to-face in terms of quality dialogue and relationship-building. There is now a wealth of research to prove that virtual gatherings pale in comparison. At the Innovators’ Assembly you will meet and have quality interactions in real time with a wide range of acknowledged experts and respected peers. You’ll dialogue together, gain valuable CPD, enrich your personal network, and maybe even find potential collaborators. To help optimise your experience and your connections, there will be a unique and gently facilitated process to support you. By the end of the day you’ll have had quality interactions with at least 16 other participants. Experts and accomplished peers, and fellow influencers in High Value Manufacturing and Biotech. Seeing issues from other perspectives, and your “mental map” will be greatly enriched. Even more confidence to lead and innovate within your organisation, and even your sector. To explore cost and availability of these options please contact us here. Early bird tickets are available now for a limited time! 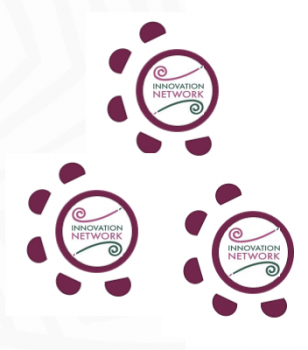 Organisations that are members of the Innovation Network have a free place per subscription. Additional colleagues, and any external guests benefit from a discounted price. We are a select cadre of strategic leaders and senior technologists from UK high-tech manufacturing firms and professional services firms, keen to learn about, and share experience of, leading innovation.